Though fuel-saving practices like slow steaming are widespread, energy efficiency continues to be a pressing concern. 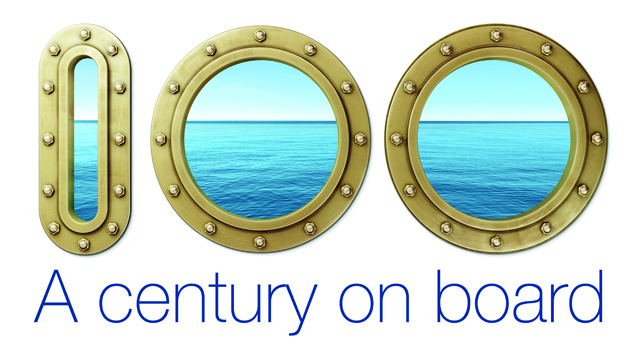 Vessel fuel bills remain high – and will likely become even higher for those sailing in Emission Control Areas after January 2015. Catastrophic engine damage due to cat fines is also on the rise, along with safety worries related to multi-fuel operation. Yet in the face of these complex and interrelated issues, the Alfa Laval adaptive fuel line offers new levels of savings and protection. Fuel costs, emission legislation and cat fine difficulties are all deeply intertwined. With HFO already at a premium, everything possible is being done to enable slower steaming and reduce fuel consumption. Meanwhile, emission legislation is forcing the use of even more expensive distillates, as well as the use of low-sulphur HFO. The fact that the latter has a higher average cat fine content can be tied to a growing number of cat fine attacks, which have increased despite the revision of ISO fuel specification 8217 to a 60 mg/kg Al+Si limit. The idea of incorporating the whole defines not only the FCM One, but also the Alfa Laval adaptive fuel line of which it is a part. 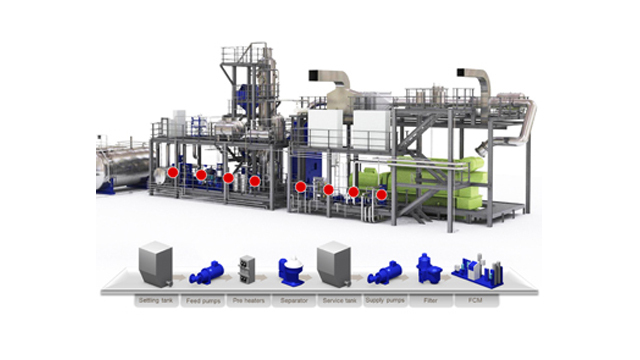 The Alfa Laval adaptive fuel line saves energy and improves protection by four distinct means: feed optimization, system supervision, multi-fuel management and waste fuel recovery. Even when the flow is optimized and separation efficiency is high, spikes in cat fine levels are impossible to rule out. In rare cases they may be caused by off-spec fuels, though they are more likely to occur when latent cat fines in the tanks are stirred up by rough seas. Preventing such attacks from damaging engine cylinders is essential, because damaged surfaces reduce combustion efficiency and may eventually result in engine failure. 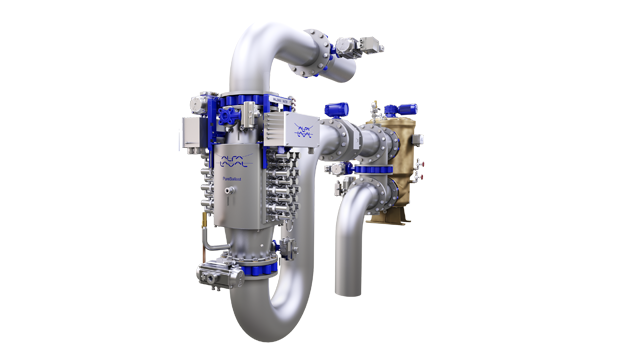 To keep cat fines from entering the engine, another new system is incorporated into the Alfa Laval adaptive fuel line. Catguard accurately measures cat fine levels at several pre-engine sampling points, warning of any elevation. Such real-time measurement enables crews to take immediate countermeasures, as well as to trace the root causes of the problem. The FCM One has yet another important role in the Alfa Laval adaptive fuel line, especially for vessels that will sail in Emission Control Areas. When multiple fuels are used on board, the FCM One safeguards fuel changeover and enables automatic blending for an economical match of a given sulphur target. Feed optimization, system supervision and multi-fuel management – combined with individually optimized components – create a fuel line that truly adapts to changing conditions. This in itself saves a great deal of energy, even as it provides better protection for the engine. What remains is to recoup the small losses that occur at various points in the system, which account for 0.5 to 2% of a vessel’s total fuel consumption. In this respect, PureDry is the crown jewel of the Alfa Laval adaptive fuel line, as it allows virtually all of this oil to be recovered with ISO 8217 quality. At present, PureDry is the only equipment capable of recovering the HFO fraction of waste fuel oil in accordance with MEPC.1/Circ.642. With PureDry, Dahl says, a large container vessel with an engine capacity of 64 MW can save up to USD 670,000 per year in fuel costs alone, plus an additional USD 67,000 in waste disposal costs. 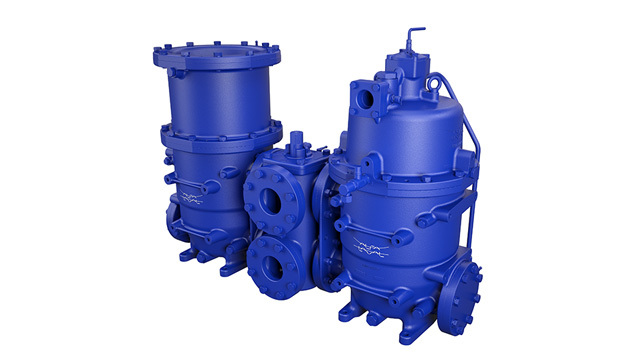 The complete Alfa Laval adaptive fuel line is a highly responsive and integrated system, whose design, automation and quality are assured by Alfa Laval. All components are steered with the new Alfa Laval Touch control system, whose graphical touchscreen interface provides two-touch access to all functions and an easy overview of all fuel line parameters. What matters most, however, are the tangible savings this new configuration offers. 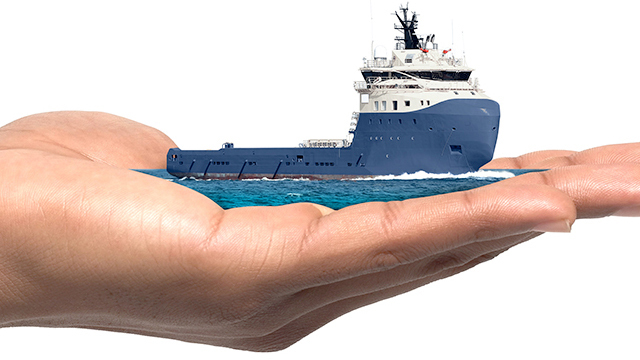 Using Dahl’s example of a large cargo vessel with an engine capacity of 64 MW, feed optimization and waste fuel recovery can lead to a total annual fuel savings of well over USD 880,000. Added to this are the fuel savings through system supervision and multi-fuel management, which might be as much as USD 400,000. Although protective savings via FlowMate and Catguard are more difficult to quantify, the prevention of a severe cat fine attack could avoid costs for repair, downtime and off-hire running into the millions.